“John describes the angel himself, which description has been the cause of trouble for many interpreters, since what is said of the angel’s face and feet clearly pick up on what is said of Christ in 1:15 and 16. This connection with the vision in chapter 1 has caused some to argue that John intended his readers to see Christ himself in this imagery. But that is highly questionable, since it is hardly imaginable that John would have intended Christ in an identification that reads, “another mighty angel.” Rather, what John intends is most likely associative: that this angel who reflects some of Christ’s own glory has come with Christ’s authority.” (Fee, G. D. Revelation. Eugene, OR: Cascade Books, 2011, pp. 140-141). John’s mighty angels are characterized by theophanic and christophanic appearance (Rev 5: 2; 10: 1; 18: 1, 21). The description of this angel is exceptional. It deviates from the normal descriptions of angels in the Bible. But the fact that John introduces him as an “angel” suggests he is a divine messenger. There is no reason for John to describe this being as an angel had it been the Son of Man (Christ). There are enough reasons to stick to John’s description of this divine agent as an angel especially when we begin to know more about the little book. The little book is an opened book in contrast to the sealed book in the hands of God in Rev 5. The mighty angel descends after the unsealing of the seven (7) seals of the scroll by the Lamb. Each broken seal brought a scene to John. We must take a keen observation of what the purpose of the book in the throne room will serve in the rest of the vision in the book of Revelation. There were events after events while the Lamb unsealed the book. However, we are reminded of the two main problems the universe encountered concerning the book, “Who is worthy to open the scroll and break its seals?” (Rev 5: 2). The breaking of the seals was necessary to expose the content of the book (Rev 5: 1). The prologue of the book of Revelation and the book of Ezekiel suggest that the little book was the opened book of the Lamb. How do we know that? Chapter 10: John receives the unsealed scroll (open book) from the Mighty Angel with the instruction to eat and to “prophesy again about many peoples, nations, languages, and kings” (Rev 10: 8-11; Compare with 22: 6, 16). The mighty angel in Rev 10 is none other than the messenger of Christ to John. No wonder he appears in a christophanic character. Some scholars think this allusion is incorrect because they see no direct link between the little book and the book in the throne room. The reasons why they fail to see the connection, in my opinion, is the neglect to see that this was the first time in the book of Revelation that John begins to speak with an angel. He has seen angels in diverse cosmic activities, but in this chapter, and for the first time, he takes instruction from an angel “to prophesy again.” His first instruction came from the Son of Man in Rev 1: 19 “to write” the things he saw. 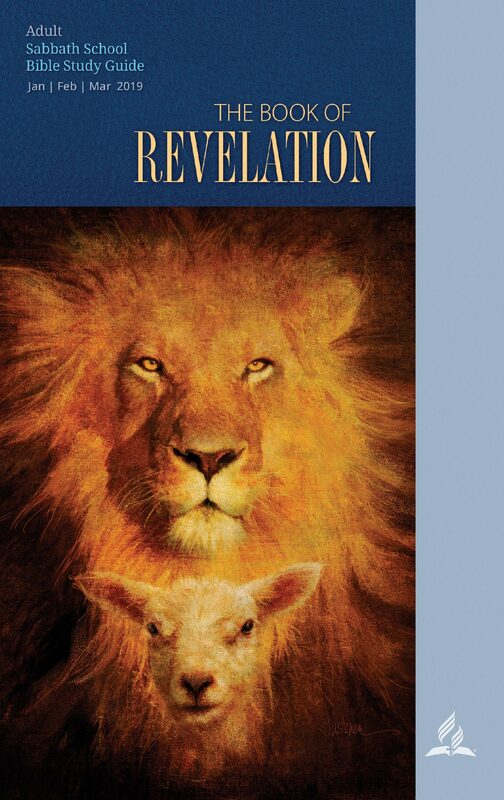 The book of Revelation makes several allusions to Old Testament apocalyptic images. “There are names like “Son of Man” (1:13), “Balaam” (2:14), “Moses” (15:3), “Babylon” (14; 17; 18), “Gog and Magog” (20:8). There are images like the “four living creatures” (Rev 4; Ezek 1), the altar and incense (Rev 8; OT sanctuary service), the plagues of Revelation 16 recall the plagues of the Exodus. However, what becomes equally clear is that for many images there is no agreement on which OT passage(s) John may have had in mind.” (Hiner, J., Jr. (1997). “Is the Angel of Revelation 10 a Divine Being?” Journal of the Adventist Theological Society, 8(1 & 2), 107). Ezekiel 2: 7-10—You shall speak My words to them, whether they hear or whether they refuse, for they are rebellious. 8 But you, son of man, hear what I say to you. Do not be rebellious like that rebellious house; open your mouth and eat what I give you.” 9 Now when I looked, there was a hand stretched out to me; and behold, a scroll of a book was in it. 10 Then He spread it before me; and there was writing on the inside and on the outside, and written on it were lamentations and mourning and woe. Ezekekiel 3: 1-4—Moreover He said to me, “Son of man, eat what you find; eat this scroll, and go, speak to the house of Israel.” 2 So I opened my mouth, and He caused me to eat that scroll.3 And He said to me, “Son of man, feed your belly, and fill your stomach with this scroll that I give you.” So I ate, and it was in my mouth like honey in sweetness.4 Then He said to me: “Son of man, go to the house of Israel and speak with My words to them. 14—So the Spirit lifted me up and took me away, and I went in bitterness, in the heat of my spirit; but the hand of the Lord was strong upon me. Ezekiel identifies the content of the little book with “lamentations and mourning and woe” (Ez 2: 10). This is no different from the seven (7) seals with its related seven (7) trumpets and seven (7) plagues. His observations are right except that he fails to posit the question of how the sealed vision in Daniel was unsealed. And who unsealed it? The open book is no other book than the Lamb’s unsealed book. He signified everything through the angel to John.